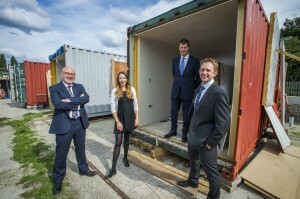 Two former shipping containers have been transformed into homes for rough sleepers by staff in the Bristol office of real estate services company Colliers International. The donated metal containers have been converted into modern dwellings with a lounge/kitchen, fully fitted bathroom and separate bedroom. Each will be used by social enterprise Help Bristol’s Homeless to provide accommodation for a rough sleeper for an entire year. 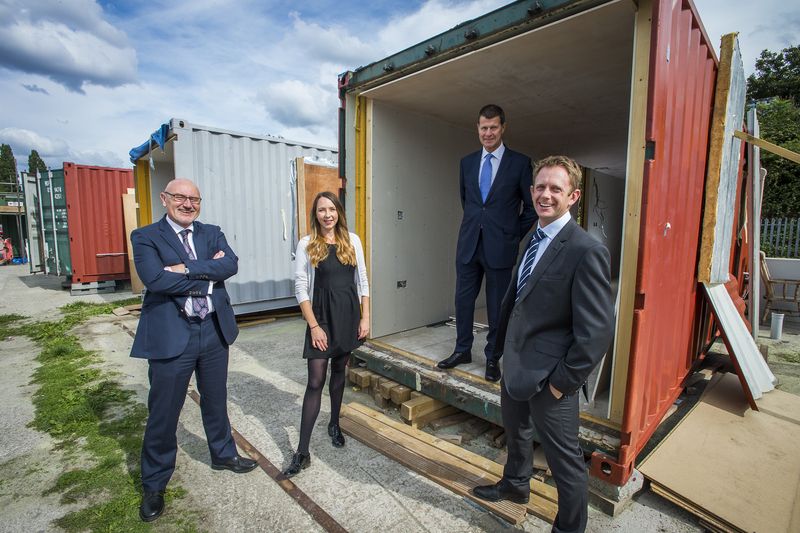 The 40ft x 8ft containers are to be used from April on a site in Bedminster. Colliers International South West and Wales head Tim Davies said: “Staff in the Bristol office have always rolled up their sleeves and got involved in Corporate Social Responsibility initiatives. The Colliers team was led by senior surveyor Amy Bracey and director Nick Williams in collaboration with Longcroft Building Services and Bracey Interiors. Business supporting the conversions included Screwfix, Artistic Blinds, Britannia Windows, Howdens, Little Greene Paints and Mandarin Stone. The container homes project was initiated by Jasper Thompson, a restaurant owner and the founder of Help Bristol’s Homeless. He said: “I used to hand out sleeping bags and food to homeless people to help them, but I wanted to do something more and came up with the idea of converting former shipping containers into temporary homes. “The ethos of Help Bristol’s Homeless is that the priority for helping people off the streets should be getting them into comfortable accommodation in which they feel safe, and the converted containers are making this possible.